Here we go again, like the “God Code” show on History Channel, a waste of time. 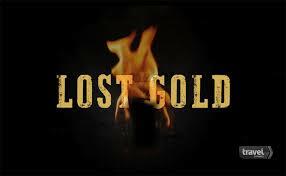 This show is suppose to be where brothers Josh and Jesse Feldman follow up on gold myths and attempts to find the gold. I should say meagerly attempt to find the gold. We wonder if they are related to Marty Feldman the comedian / actor. If you have seen the Mel Brooks movie “Bride of Frankenstein” then you would know that Marty Feldman plays “Igor”. Did you notice that the “hump” on his back moved from side to side during the movie? His comments were also funny throughout the movie and we still watch this movie to this day. A great laugh from Mel Brooks and this movie stands up right along with his “Blazing Saddles”. Back to Josh and Jesse, and their meager attempts to find gold. We figure the pout “Gold” in the title to attract viewers because it that was there nobody would watch. This is why we checked it out. We have watched three episodes and they did not find any gold in any of them. We think what they are doing is using one script and just changing the myth and location. We think this because they do everything the same and in the same order. First they identify the myth / storyline and explain why it should be easy to find the gold based on the information at hand. They, of course, let the viewer know that they qualified for this project. Then they project the details of what they are going to look for and they go to the nearest city or town near the site. They talk to several local dudes and one of them always says “I can direct or take you close to when the gold is.” Now the boys should be asking the guy, “If you know where the gold is why you haven’t found it?” But the boys skip this question and move on, probably because they know the guy is boosting and wanting to look good in front of his friends or because this is in every episode, its part of the script. So the boys move on to the “site” where the “gold” was last seen or supposedly seen. Then they start projecting as to what the people who are hiding the gold are thinking. “They were in a hurry so they probably would not have climbed up that cliff or they did not just bury it in the open. We doubt if they took much time because there we people or Indians chasing them.” On and on they go attempting to logically convince the viewers they know what they are doing. Just like last night where the gold was on a boat and the guys on the boat had to get to land to hide the gold. The spot where the boys picked by the river that they thought the gold was about 100 square miles of bluffs and bushes. Then they went in to a huge calculation that there was “xxxx” lbs of gold in 50 pound bags and there were “x” amount of people, so it would take them “x” amount of time to move the gold a short distance because the ere in a hurry. Then the boys spent a whole five minutes with their metal detectors looking at what they considered to be great places to hide gold. Then they said “Well we looked enough and found that their metal detectors were picking up water trapped in the rocks as pings.” They should get the metal detector guy from “Curse of Oak Island” that is a specialist in metal detecting but based on what we see their budget is fairly low like about $75.00 for gas. Then they meet a local guy who has live in this area since birth and he says “Because the gold was buried by several people that one of them came back at later date and took the gold.” Bingo! End of show and a total waste of time on our part. Hopefully we have informed you about our opinion and doubt if we would be watching anymore episodes. Let’s move on to more important events. About three weeks ago we were sailing right along in our spiritual quest and sending out intentions for more information and getting answers back almost immediately. Then one day something changed and we went into chaos. We were scattered in our thoughts and figured we were out of balance because we had skipped a few chakra meditations along the way so we balanced our chakras and it seemed better but not completely. The Universal Energy had changed so we started to research what had happened. For several weeks we had a feeling that something big was on the way but could not determine what it was. We could feel it and the “bang” it was here. 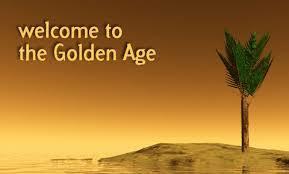 So far what we have found is the “(Spiritual) Golden Age on the planet Earth” has started. We announced this on Twitter a few days ago but nobody noticed. Well folks, we all better notice because this is the start of “accountability” for everything we have experienced throughout all our lives. Yes, past and present and future. All that negative karma we have amassed is coming into play and all those who have abused of Mother Earth will soon be accountable. Because everyone will be accountable, including us, we have searched for solutions and found several meditations to clear negative karma and replace it with Love Energy. We have also found how we can “resurrect” and “transmute” ourselves back to our pure IAM Presence that God gave us. We have started and it’s working very well. We are keeping notes and will soon be reporting what we find. If you wish to gets a jump start, then start (manifest) asking God and/or the creators, your angels, your guides, unemployed angels looking for something to do and all the guides in training to assist you in clearing your negative karma energy and replace it with love energy. The most important thing is to send healing energy to Mother Earth because without Mother Earth, we no longer exist. We all have heard about “Climate Change” and this is Mother Earth battling to get healthy from all the abuse we here on Earth have dumped on her. We have talked about this in prior posts and not it has come to be. We send Mother Earth positive energy every time we meditate or see a misguided soul throw a piece of paper out a car window. Peace, Love and Light to all and our blessings go out to all. Thank you for stopping by and taking the time to read our post and if you stopped by and did not read our post then we are wasting typing this line.